Korean Drama Box: Will Won Bin return to acting ? 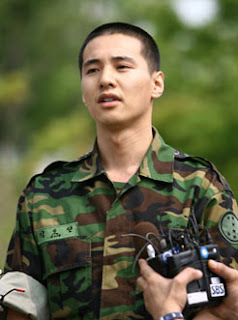 Won Bin started his military service in December 2005 and was stationed at a forward base, but was discharged in June 2006 when a knee injury worsened. His Korean and overseas fans have been eagerly waiting for his return to the screen, but he has kept a low profile and devoted himself to rehabilitation. Despite the hiatus, Won Bin is still a favorite leading actor, and drama producers have been particularly interested in his comeback. His agent explained that although his knee condition has improved, it’s still hard for him to make sudden moves or walk for a long time. Won Bin plans to return to acting as soon as he completes his physical therapy program.